An "All Lives Matter" billboard popped up in downtown Fargo before the "Black Lives Matter" billboard. Donations are pouring in to pay for a “Black Lives Matter” billboard in downtown Fargo. 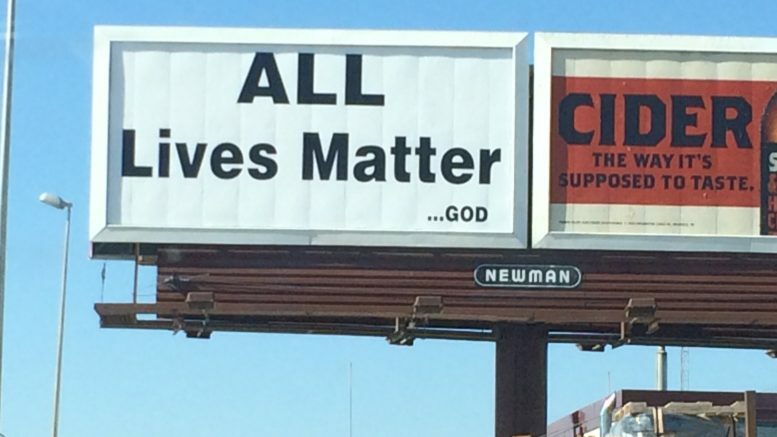 It’s in response to the “All Lives Matter” billboard currently up on Main Avenue at University Drive. Within 18 hours, $540 had been raised toward the $1,300 goal. The fundraiser was created by burlesque performer Anytime Jones, who lived in Fargo for 14 years before moving to the Twin Cities. Who’s behind this billboard on Main Avenue?